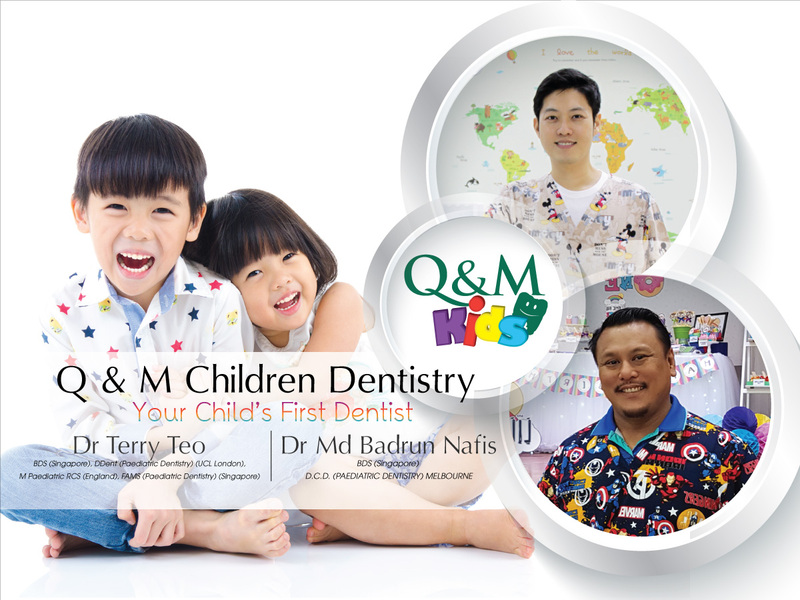 It gives us great pleasure to introduce you to Q & M. It was first established in November 1996 at Bukit Batok. Over the years, it has grown from strength to strength and now has more than 70 clinics island-wide, thus making it the largest private dental healthcare group in Singapore. 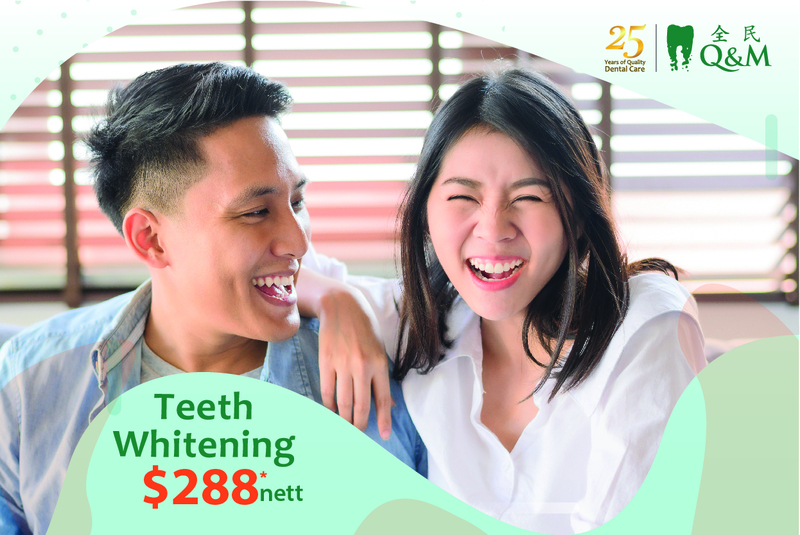 Get your teeth cleaned & polished, and consult the dentist to prevent more serious dental problems from affecting your lifestyle @ $44.90* nett.Book an appointment with us right away, fastest finger ! Prevention is always better than cure. 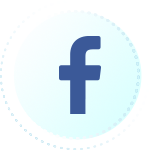 Don’t let your unknown dental problems deteriorate further. 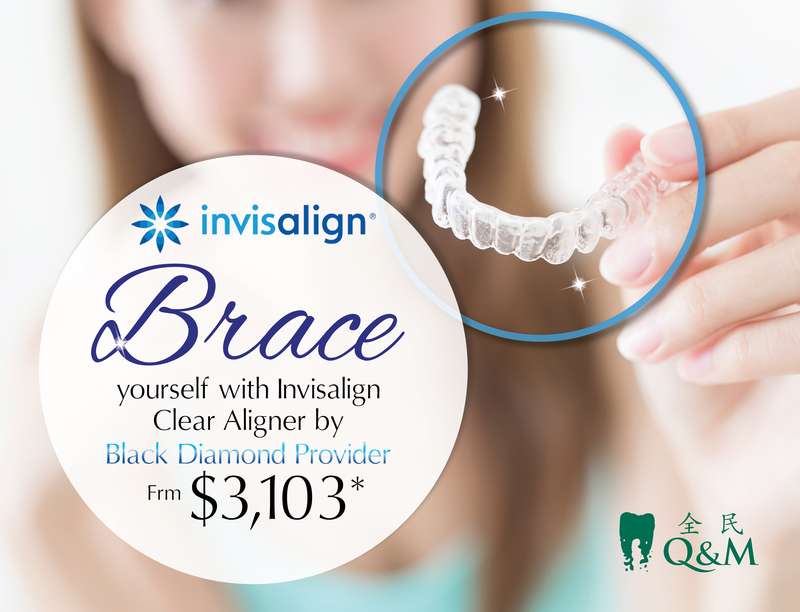 Get your teeth x-rayed and checked @ $44.90 *nett. Wait no more! Book your appointment now! 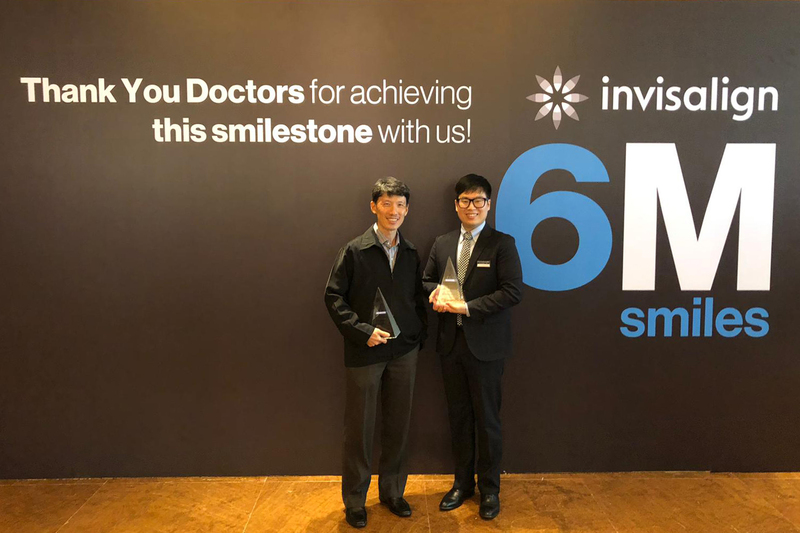 Congrats to Dr Hwang Jun Hyuk from Q & M City Square Mall for winning the Invisalign Diamond Provider award in Singapore. Q & M Dental Group has also been awarded Diamond Provider Clinic 2018. 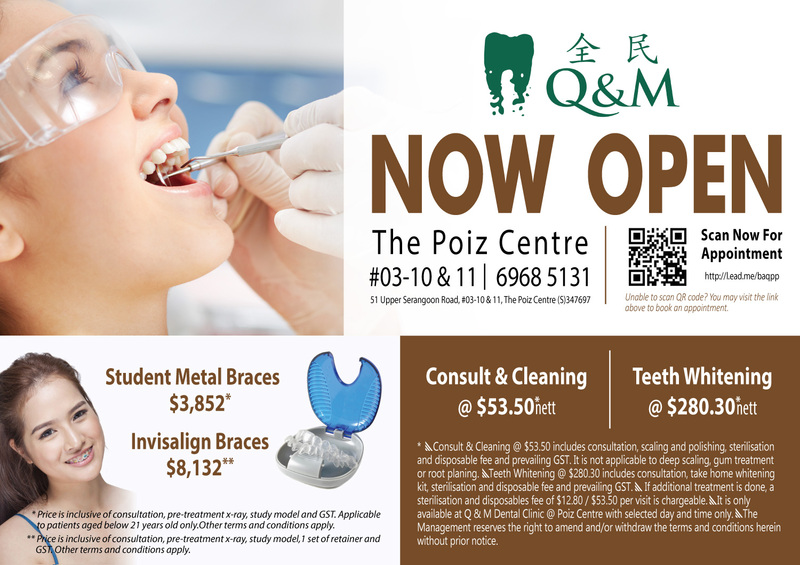 Q & M is now in Potong Pasir! 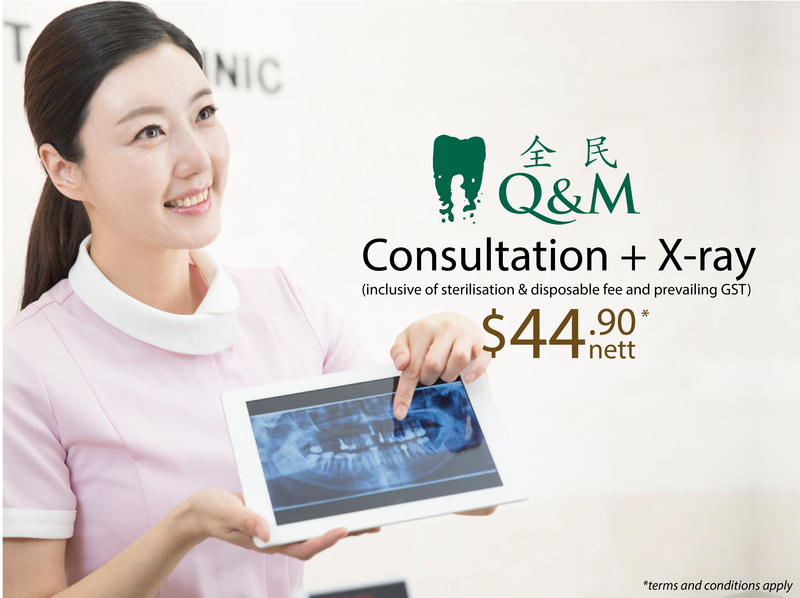 Visit us at #03-10/11, 51 Upper Serangoon Road (S) 347697 and have your teeth cleaned at only $53.50*. 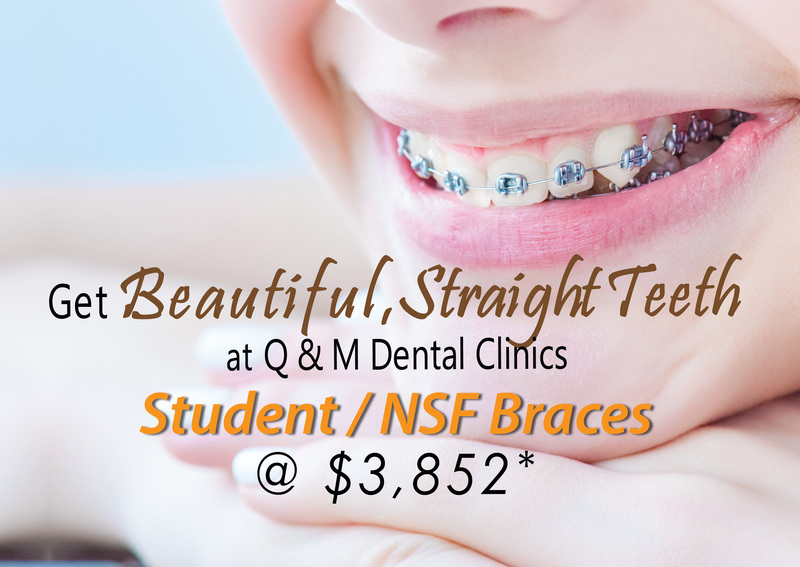 Call us at 6968 5131 to book your appointment today! 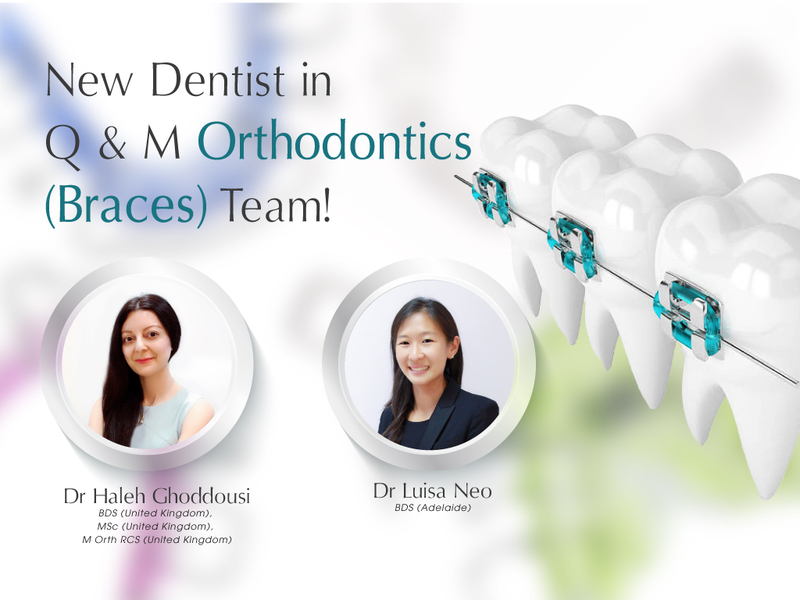 New Dentists in Q & M Orthodontics Team! The price inclusive of consultation, take home teeth whitening kit, sterilisation & disposable fees and prevailing GST. Available at selected clinics only. Terms & conditions apply. Inclusive of consultation, pre-treatment x-ray, study model and GST. Terms & conditions apply.